The (Not-Quite) First Anniversary of (What Would Eventually Become) Houkulele! 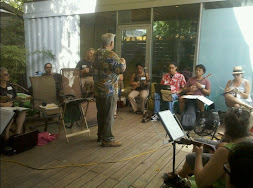 In July of 2011, the dormant Houston Ukulele Meetup Group was rebooted when more than twenty folks gathered in the swelter of a backyard patio in the Heights to play. Today, the Houston Ukulele Meetup Group has been renamed Houkulele, surpassed 150 amazing members, and performed a concert with the Houston Choral Showcase. We are growing by leaps and bounds in terms of membership, participation, organization and activity, so it is the perfect time to expand our online presence. Houkulele has been expanding beyond the walls of Meetup for some time now, and it's been admittedly difficult for everyone to find and follow all of the activity. 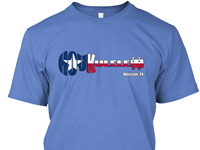 Our goal is for Houkulele.com to solve that problem by serving as a central location where members and friends can easily navigate through the Houkulele universe. 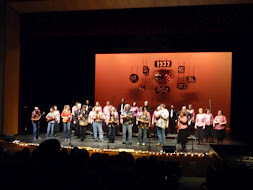 Houkulele.com - news regarding performances by Houkulele and its members, as well as publicly-located jams, other events, and general ukulele news. Quick links to all other club activity. 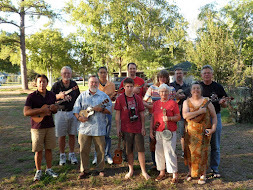 Facebook.com/groups/houkulele - the heart of daily communication for Houkulele. If you want to get in touch with the club's most active members quickly, this is the place to do it. 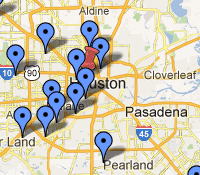 Meetup.com/houston-ukulele - the event-planning center and repository for song files, chord sheets, etc. Also, if you want to email a specific member instead of messaging through Facebook, this is the place to do it. Twitter.com/houkulele - this is basically an "echo chamber" for news and information about the group. Up and running, and we'll start wiring it up, so to speak, so there will be an active feed by mid-July. 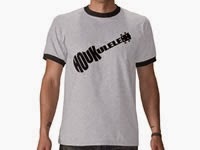 Zazzle.com/houkulele - Houkulele buttons, stickers, fully customizable t-shirts and more. More Links Coming Soon! - In the very near future, our Youtube channel and photo gallery will be fully activated, and we'll have a few other useful widgets and apps set up as well. Thanks to one and all, from those who signed on at the beginning to those who have only just found us. Houkulele will continue to grow, and it will become what we make of it. Keep bringing that positive energy and ukulele spirit!